The Exigo Assisted Chin/Dip Station is one of our combination machines, part of our exceptional Selectorized Upper Body range, used in strength training to build endurance and strength in the upper torso. This two in one machine will most certainly help you to achieve superior results. Chin ups and dips are very popular and effective exercises that will specifically target the muscles in the arms, chest, shoulders, back and core. 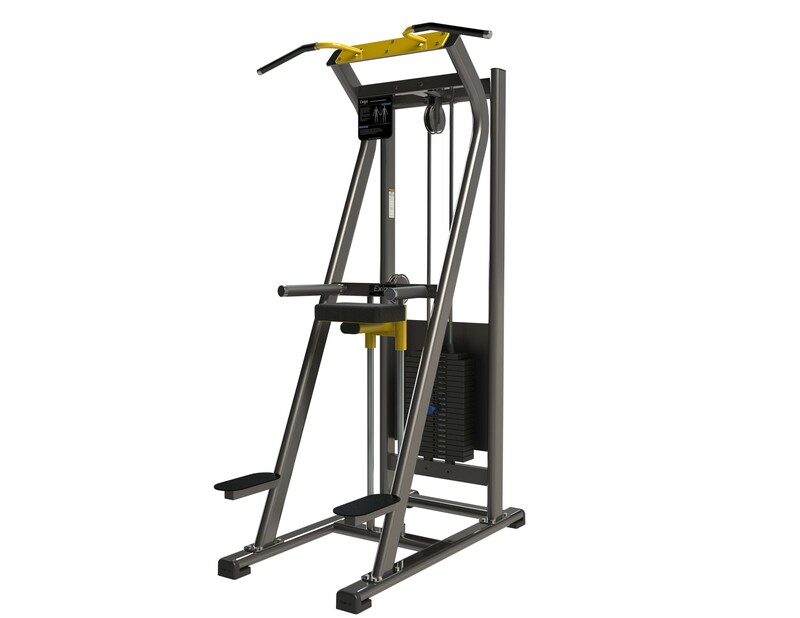 Built using only high quality components, this machine’s smooth movement makes working out a great experience. The comfortable padded kneeling support and multi grip handles, allow you to train comfortably for longer, and the non-slip foot platforms aid safe entry to and exit from the machine. This professional piece of gym equipment is an effective and safe way of performing chin ups and dips, whether you’re a complete beginner or seasoned athlete. Perfect for any commercial gym, home gym, or training facility.